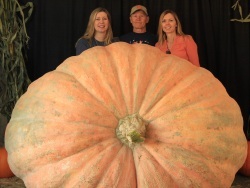 The mission of BigPumpkins.com is to provide an interactive web site to the giant pumpkin growing community! 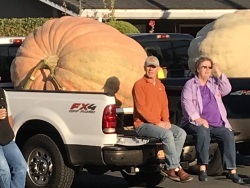 We would also like to promote the exciting sport/hobby of giant pumpkin and giant squash growing by helping new comers get started. Want to see some World Records?! 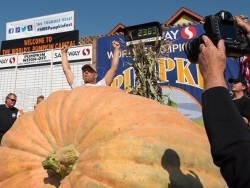 To participate in the interactive sections of BigPumpkins.com you must become a registered user. Wallace Organic Wonder offers the highest quality Mycorrhizal Inoculant. Super concentrated, fast acting, most aggressive single species mycorrhizae in the world! This strain has helped create 9 World Records! We have everything you need to grow your giant pumpkin! From soil amendments, soluble seaweed powder, compost tea brews, humic fulvic acid and much more! You have my commitment to help you from soil preparation, and seed germination till season's end. Please email ron@wallacewow.com with any questions. 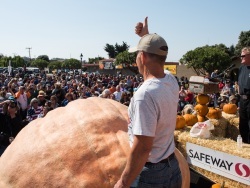 Visit our website for info on great products for growing giant pumpkins, such as BioGrow Endo Plus, our premium 4 species Endomycorrhizal Fungi that helped grow World Record pumpkins. The Prince Edward County Pumpkin Growers are pleased to bring you our 2018/2019 fund raiser. All proceeds go directly to fund our weigh off in Wellington. More and more weigh-offs are being held each week around the world! Check out the results below. 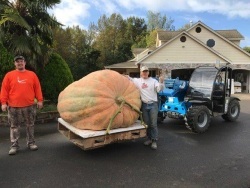 Joe Jutras set a New World Record for Giant Squash! 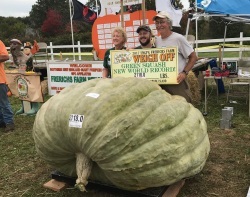 BigPumpkins.com congratulates Joe Jutras on his 2118 pound squash weighed at the Frerichs Farms Weigh-off, Warren, RI. 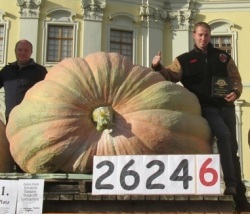 Mathias Willemijns set a new World Record with a 2624.6 pound Giant Pumpkin! 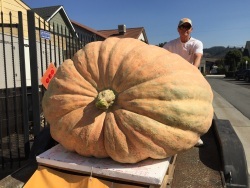 BigPumpkins.com congratulates Mathias Willemijns on his 2624.6 pound pumpkin weighed at the European Championship Pumpkin Weigh-off, Germany on October 9, 2016. 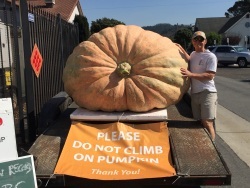 Check out the 2624.6 pound pumpkin!